What is the motivation of GERAN-evolution and who steers it? How does GERAN differ from the envisaged 4G-mobile networks and can it be evolved to offer similar services? How do technology improvements like HOMTC, multi carrier, higher symbol rates, RTTI or VSRB operate? What are the differences between 16-QAM- and 16-APK-modulation? Which new slot and burst formats have been investigated? How many RF-carriers are supported in uplink and downlink direction with GERAN-Evolution? What is "Flexible Timeslot Assignment"? Which performance improvements are achieved through multicarrier operation? Which performance improvements do HUGE and RED HOT offer? How do HUGE and RED HOT cope with the presented liabilities of higher order modulation schemes? What is bit swapping and how is it used in HUGE and RED HOT? Which new burst formats and which new coding schemes (DAS, UAS, DBS and UBS) have been defined for HUGE and RED HOT? Which options for latency reduction have been incorporated into Release 7 for the so called RL-TBF operation? How can mobile stations operating in BTTI-mode be multiplexed with mobile stations operating in RTTI-mode? How does a mobile station receive USF-allocations during RL-TBF operation? How is a PAN-Field transmitted? What is MCS-0 and why was it introduced? What is RLC non-persistent-mode of operation and how does it operate? Design and test engineers who shall be on track with the current state of technology. 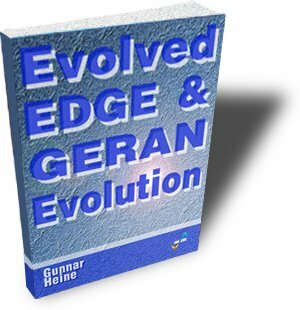 Managers who needs to understand the details and implications of GERAN evolution.